People’s Pharmacy also answers reader queries on CocoaVia and cholesterol, and biotin and nail ridges. Q: Does turmeric have valid medicinal properties? My son-in-law was told he needed a hip replacement, but turmeric cured his symptoms. Another son-in-law says turmeric works like ibuprofen for him. A: The National Library of Medicine (PubMed.gov) contains thousands of research articles on turmeric or its active ingredient curcumin. 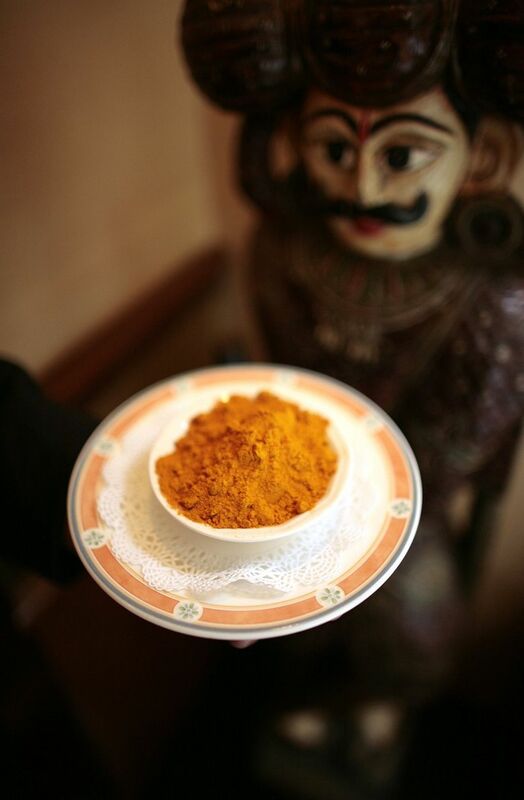 That’s because there is intense interest in the medicinal properties of this Indian spice. Curcumin is being studied for its activity against psoriasis, diabetes, Alzheimer’s disease and a range of cancers. All of this research is being conducted in animal models, but the anti-inflammatory activity of curcumin has been shown to help nasal congestion in humans (Annals of Allergy, Asthma and Immunology online, Oct. 24, 2016). It also has been shown to help knee pain due to arthritis when taken as a supplement (Nutrition Journal, Jan. 5, 2016). Q: I am writing to ask what you might know about CocoaVia. A friend told me she dropped her cholesterol 30 points by taking this natural supplement. My husband, an internist, said supplements that lower cholesterol may not lower the risk for heart disease. Are there any studies regarding this supplement? A: Your husband is right that not everything that lowers cholesterol actually prevents heart disease. Despite this, the Food and Drug Administration has approved cholesterol-lowering drugs such as alirocumab (Praluent) on the basis of their ability to lower lipids like LDL cholesterol, although they have not yet been shown to reduce heart disease. There is reason to expect that cocoa flavonols will be helpful. A recent review found that cocoa-flavanol intake improved insulin sensitivity and blood lipids such as cholesterol, triglycerides and HDL cholesterol (Journal of Nutrition, November 2016). There currently is a major study under way to determine whether CocoaVia standardized cocoa flavonols can reduce heart attacks and strokes. It is called COSMOS (COcoa Supplement and Multivitamin Outcomes Study). We will let our readers know the results when the trial is completed. Q: I have vertical ridges on almost all my fingernails. Do you know what causes this? Is there anything I could do to improve it? A: Although they are annoying, vertical (longitudinal) ridges on the fingernails do not appear to be dangerous. These ridges are frequently attributed to aging. Occasionally vertically ridged nails also are brittle. Anemia and atherosclerosis may sometimes be the cause (Canadian Family Physician, February 2011). You should ask your doctor if you need supplements of iron or B vitamins to correct anemia. A few small studies have suggested that taking biotin (2.5 mg/day) can help correct the ridging and fragility (Journal of Drugs in Dermatology, August 2007).